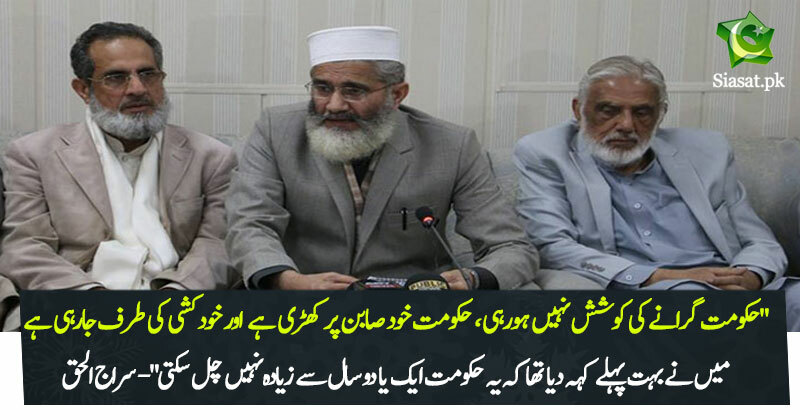 امیر جماعت اسلامی پاکستان سینیٹر سراج الحق کہیں سو رہی تھے . 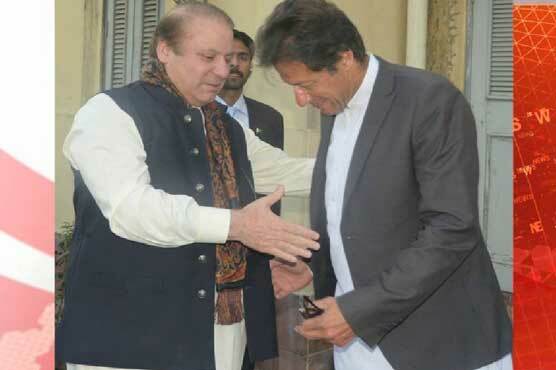 آنکھ کھلی تو کسی نے بتایا کہ پی ٹی ایئ کی حکومت کو دو سال ہوگئے ہیں. Thank you Siraj for giving government 1-2 years! Hold your horses as you people don't have guts to elect other candidate as Chairman of PTI other than IK. 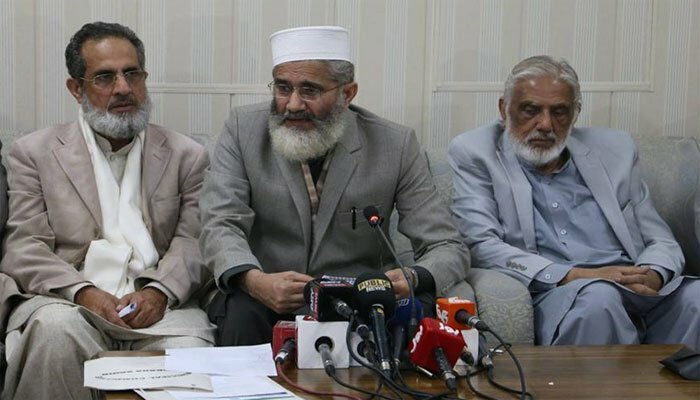 At least, JI has intra-party democratic system and I assure you that you people will again see change in JI. Just wait for two months. inshaALLAH, this time, change will be pleasant.